They are cute and fuzzy and and are known to mark their territory with a stench that could linger for weeks. 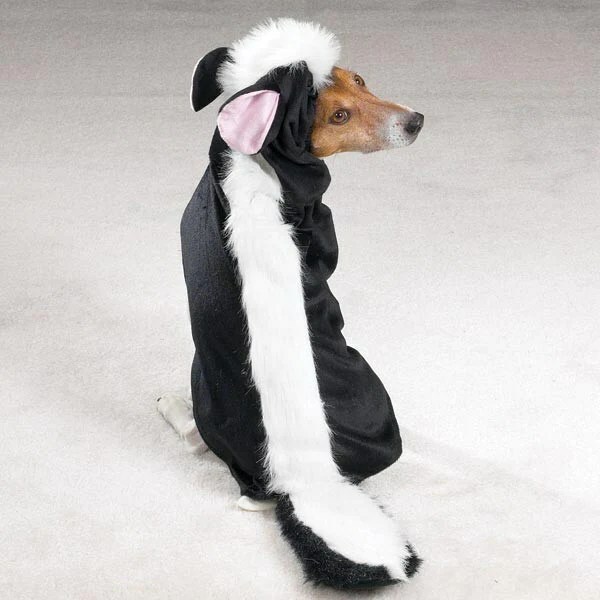 Anyone who has ever had their pet skunk first handily knows the pain and agony that accompanies being at the wrong place at the wrong time. Their spray consists of oils that contaminate clothing, fur, and household items lasting for weeks before subsiding. Last fall my husband texted me bring home tomato juice after work, Zema my puppy had gotten skunked trying to protect our yard. When I got home our house reeked of skunk. My husband tried to wash Zema with Dove soap which left her wet and even stinkier if that was possible. 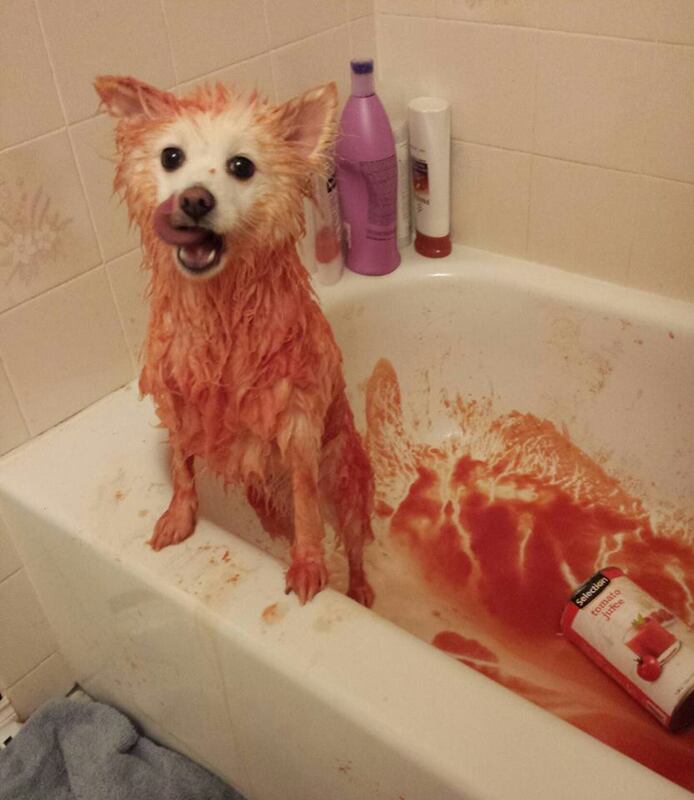 The tomato juice worked a little bit, but she still smelled for weeks. February through March is mating season for skunks. And while they are out and about all year long, we tend to have run ins with them more in the fall due to the “fall shuffle.” Fall is when the young leave the nest for the first time, exploring the world on their own. Adults spend more time venturing out to search for food for their winter dens. In the fall I don’t let my dog roam free in our fenced yard unsupervised after dusk. We now keep garbage locked up and away from the house. The first is a product found at Petco. It claims to uses.a bio-enzymatic formula to break down skunk oils. It has mixed reviews, but I would be willing to give it a try not that I am hoping i have to. Another solution that has been known to work is a homemade solution using cheap and basic components you can make right at home for under $10. 1-2 teaspoons liquid dish soap. Mix and do not add water. This solution can be used to wash skin, clothes, dogs, etc. that have been sprayed by skunks. It must be used immediately and won’t work if it’s been stored. Thoroughly work it into the fur or fabric and leave it on for 5 minutes before rinsing. The peroxide in the solution may lighten fabrics or your pet’s fur. Posted on October 23, 2015 October 23, 2015 by emilyturner23Posted in TurnerTagged pet products, skunked.